The cemetery gate in the photo is of a small cemetery in rural Pennsylvania, just outside Hershey. The gate is typical of many of the small cemetery gates that are made of iron rod and steel construction. 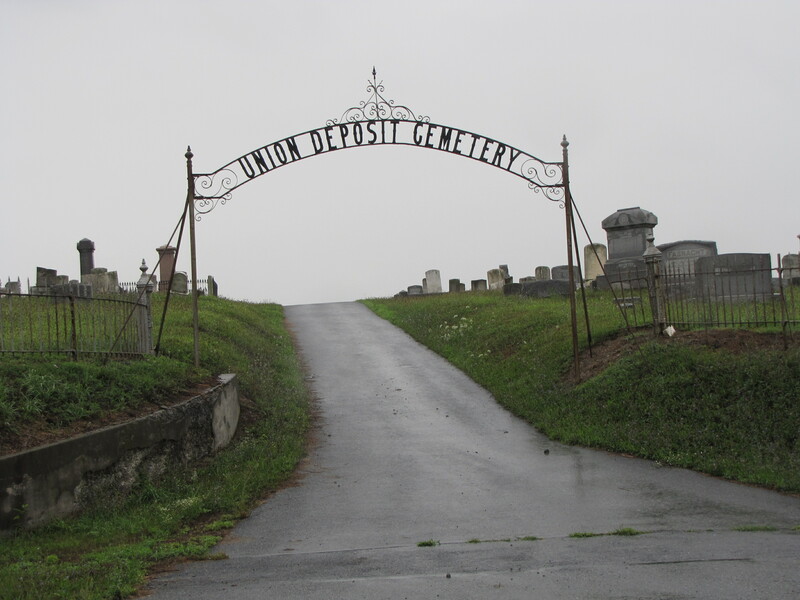 What struck me was the name of the cemetery: Union Deposit Cemetery. Deposit? The name sounds a bit like a the name of a bank, though, the deposits are definitely different. This entry was posted in Cemetery Gates. Bookmark the permalink.